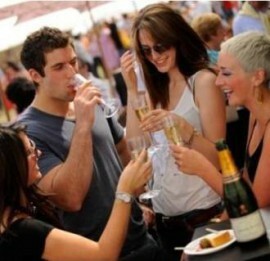 Expired Save up to $20 on Top Tasting Tickets to Taste of Sydney! Grab your girlfriends & indulge in Sydney's ultimate foodie day out! Taste of Sydney returns to Centennial Park this March 12th-15th to serve up Sydney’s Unmissable Foodie Garden Party. Rub shoulders with Sydney’s top chefs and like minded foodies as you graze through your dream tasting menu designed by Sydney’s hottest restaurants. Test your culinary skills in hands on cooking classes, join a round table discussion with the city’s movers and shakers, sample wines in premium tastings or simply relax with a glass of bubbly and soak up the festival atmosphere. With all that’s on, Taste of Sydney offers a full foodie experience that celebrates Sydney’s unique dining scene.